Marketplaces and prices shown matched UPC number 606814041613 during our search. Top quality assurance: Made of 100 natural pure virgin pulps ,unbleached, unwaxed, uncoated, has passed the US FDA food safety certification. It is the best choice of health and environmental protection! Strong durability and wet strength: Thickness, durability, it is not easy soluble in water or oil easily and maintain a good shape for a long time. Superior breathability and oil absorption: Absorb excess oil from food, Keep your body and clothes in contact with oil and give you a clean, pleasant taste experience. Multi-Purpose: Suitable for cooking, smoked, barbecue, fried, baked foods, can also be used for biscuits, sandwiches, hamburgers, fruit packaging. Easy matching color make your food more delicious! At the same time it also can be used for flowers packaging , outdoor picnics, increase your taste of life. 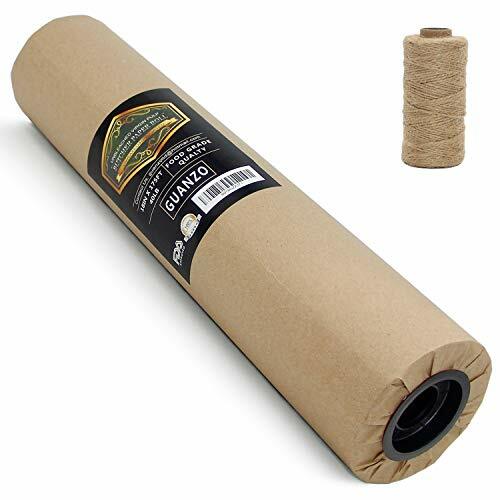 What do you get: A roll of butcher paper, Our worry-free 180 days warranty and customer service. We have many years of international Big-Brand OEM experience to ensure that product quality is better than similar products. No matter what problems you have, do not hesitate to contact us. We will reply and strive to resolve your problem within 1 business day. This product is made of 100% all natural pure virgin pulps. The characteristics of the structure improve the wet strength of paper so when you use it, it will not be easily soaked by oil and water and keep a good paper shape for a long time. Do you still worry about barbecue that takes a lot of containers and cleaning after using? 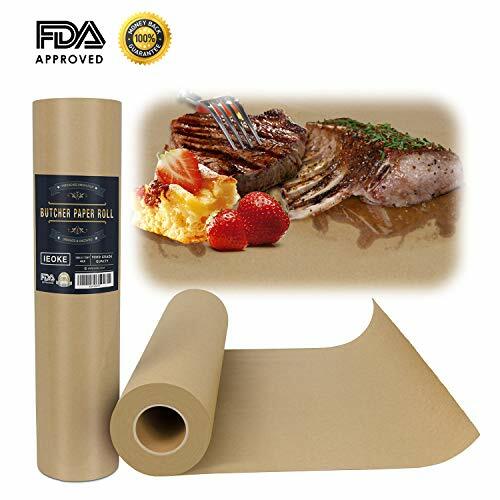 IEOKE Butcher Paper, One-time use, clean and hygienic, easy to clean up and save your time. You can slim different areas and shapes of paper as a food container to use, make your barbecue or dinner become more simple and easy ! How to deal with foods/meat which contains large amounts of fat ? Our products have excellent oil absorption and breath ability, it is very suitable for packaging some foods that contains a lot of fat. For example, beef, lamb, roast chicken, onion ring, fried or baked foods. Good oil absorption effectively prevents your body or clothes from oil , give you a fresh, comfortable feeling! 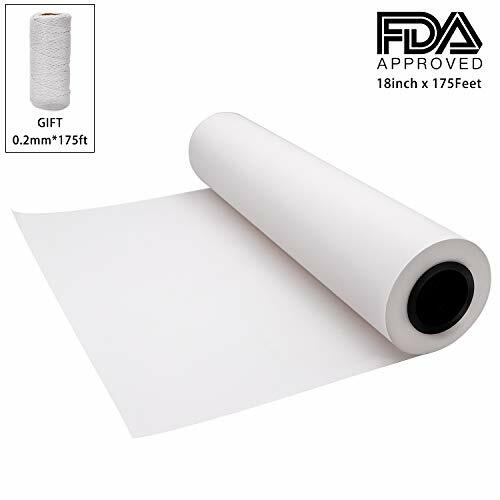 If you want a high-quality and durable butcher paper, please choose our products! For barbecue lovers, this is the best partner for delicacy. For housewives, it is a good helper for food. It can be widely used in smoke , home cooking, outdoor picnic, fresh meat, vegetable packaging. At the same time ,it can also be used with colored fruit, lunch sandwiches, hamburgers, all kinds of biscuits dessert packaging, tablecloths, gift wrapping paper, wallpaper or saving small volume items. Simple, characteristic, practical. 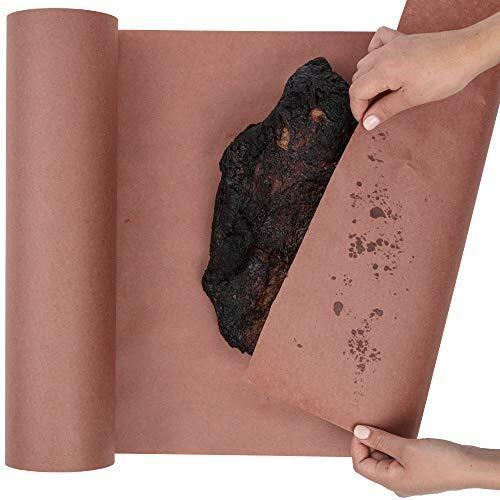 With a standard thickness of 40 # butcher paper, you can use it for a long time! Product Dimensions: 18 IN*175 FT.